Welcome to our Folds of Honor Patriot Golf Day online donation page. Folds of Honor was founded in 2007 by Major Dan Rooney and its mission is to provide educational scholarships to the spouses and children of America’s fallen and disabled service members. 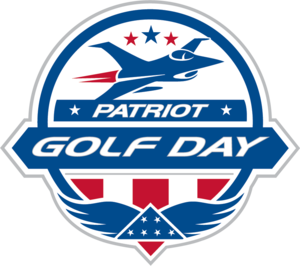 Thanks to faithful supporters across the country, Patriot Golf Day started as a vision and now, as a joint initiative with the PGA of America and the United States Golf Association, it has grown into the largest grassroots golf fundraising movement in the country. Folds of Honor has awarded nearly 20,000 scholarships in all 50 states since its inception in 2007 and 4,100 scholarships were awarded in 2018 alone. Folds of Honor is proud to have a cumulative average ratio of 86% of every dollar raised going to their scholarship program. Despite financial support being greater than ever in 2018, more than 700 eligible qualified applicants were turned away! We invite you to please consider embracing the call to duty by clicking the “Donate Now” button. Scholarships are awarded in $5,000 increments but there is no donation too small. We are incredibly grateful for your donation! Thank you!